I hope you all had a lovely Christmas Day and that you've got some time to relax between now and the New Year. 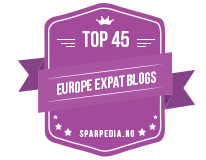 If so, I’ve got some great books lined up to whisk you away to France for a mini book-holiday. Today is the first post in my Twelve Days of Christmas series where I will be sharing some more of my favourite books set in France. 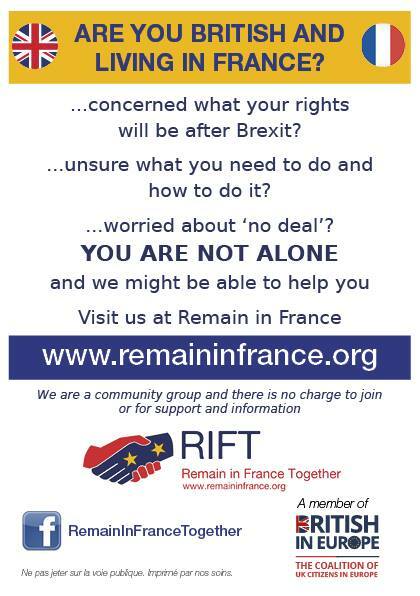 We will be touring the whole of the country, stopping off in the Limousin, Auvergne, Burgundy, Paris and Provence as well as visiting the French overseas departments. There will be novels, cookbooks and memoirs; where the authors share their travelling, renovations, gardens and food. If you are sitting comfortably, I will begin. 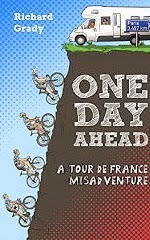 It’s the First Day of Christmas and so appropriately my review today is for One Day Ahead: A Tour de France Misadventure by Richard Grady. This book follows a team of four charity bike riders who set themselves the challenge to ride the complete 2012 Tour de France route, one day ahead of the pro-riders. It is written by Richard, a sometime cyclist, but for this trip part of their small back-up team and the driver of Motorhome 1. It would be true to say that from the beginning Richard was a reluctant team member, but his general grumpiness gave some real humour to the writing and I enjoyed this book from the outset. It was never going to be an easy three week, 5000km trip around France and Richard writes a very funny account of their daily routine; the squabbles, the issues, the pain and the suffering and he often had me laughing at his quips. He certainly highlights the issues that arise with lots of people working hard to follow a gruelling schedule and living together in small spaces. The cyclists might have had the mountain passes to climb and over 200km in the saddle each day, but the back-up teams had the driving, shopping, cooking and washing to do, plus had to ensure there was always enough water onboard and that the motorhome toilet was regularly emptied. Richard would say the cyclists had it easy! Interspersed with the events of their day Richard gives us just enough information on the Tour rules and the history of the event to add interest without it becoming a history fact book and as each day comes to a close, he includes a brief summery of events on the real 2012 Tour and the positions of the pro-riders. Delivered in his humorous style, this gave the book a well-rounded feel and helped me to relive the excitement of Bradley Wiggins winning the Yellow Jersey. I was sorry to get to the end of their adventure. If France and cycling interest you and you like a book to make you laugh, this is a perfect book. One Day Ahead is available in paperback and ebook format and links to Amazon are below. You can find Richard at his website, on Twitter and on Facebook.